I think we all do it from time to time: make up nicknames for common things in our lives. In our family it’s “jim jams” for pyjamas and “nonsense juice” for soda. Rinee Shah started a blog to collect these words from different families and illustrate them, and now you can even get the entire collection as a physical book. I listen to a lot of audiobooks, almost as much as I listen to podcasts and music. 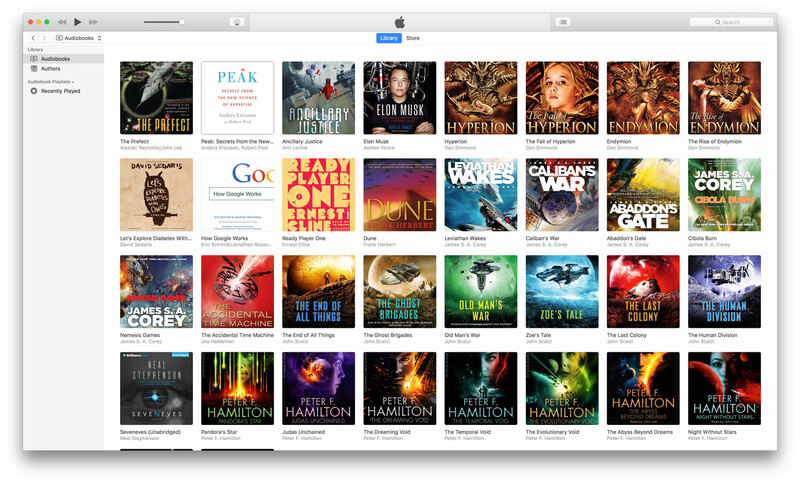 So inevitably I spend a lot of time looking at audiobook covers in iTunes and iBooks on my Mac and iPhone. I even create my own audiobook covers when the standard iTunes and Audible covers aren’t good enough. Our eight-year-old has started to love reading and her teacher has set her a mission to read 40 books in the year. And not just any books, proper kids novels from a variety of of different genres. It’s a brilliant idea and she’s really excited about it :) Like most parents, we have plenty of awesome kids books by Dr Seuss, Roald Dahl and Jeff Kinney but I suddenly realised… we have zero science fiction books in the house ? Time to fix that. We quickly went on a hunt for some really great sci-fi novels for elementary school kids. There’s some real gold out there so we thought we’d share the best ones here, so other parents can help their children be inspired by the genre. If your kids are reading our books then odds are you’re reading some sci-fi books yourself! With life being so busy I’ve found that audiobooks are the best way for me to get through my novels, but it drives me crazy how iBooks mangels book covers. iBooks seems to be designed to fit the square music album covers from iTunes, not traditional rectangular book covers. This year I took matters into my own hands and came up some alternate versions of popular sci-fi novels which fit iTunes much better. If you have any of these space operas in your iTunes library use these covers instead, iBooks will love you for it! Every week I hear about another amazing product which teaches kids about technology, programming or engineering. Here’s a list of our favourites, enjoy! I haven’t made a post about robots and donuts in a while. Real tough guys don’t need guns, they just need a positive, can-do attitude ?